Jacobs favoured a pulley system using overhead shafts for driving his gear cutting machine. I don't have a pulley system in my workshop, so some more up to date means of driving the machine are required. A small induction motor is the favoured approach, along with some safety items such as a No Volt Release switch, maybe a panic button too. 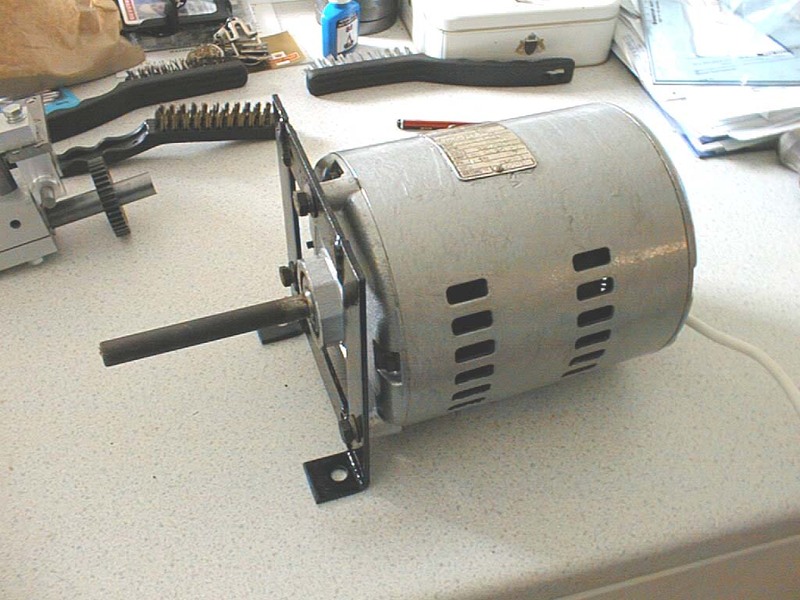 06-May-2003: Thanks to Charles Ping from the uk.rec.models.engineering newsgroup, I now have a motor. 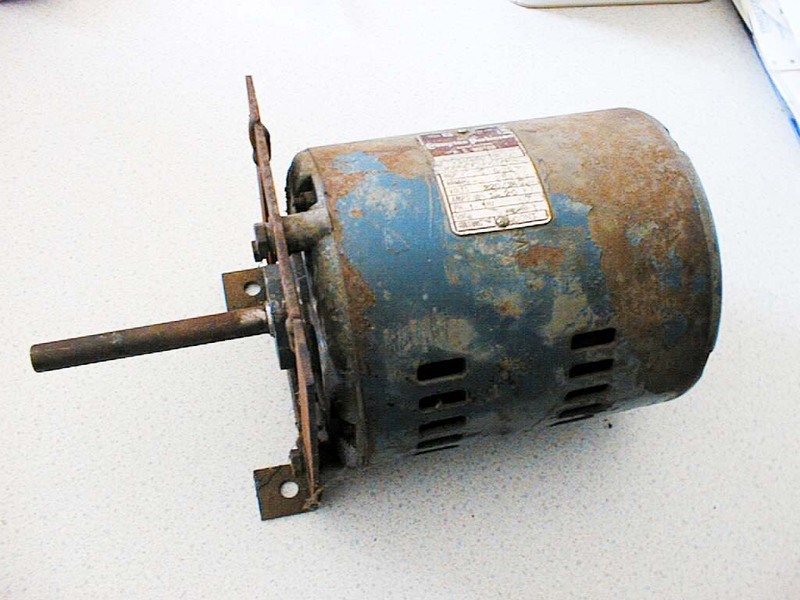 It's a 1/4hp 2 pole split-phase induction motor made by Crompton Parkinson. 10-May-2003: Taking it apart showed that the purple wires were indeed for a thermal cutout. The motor has been cleaned, painted, bearings checked etc. It runs smooth and quiet, so plenty of life left in it.